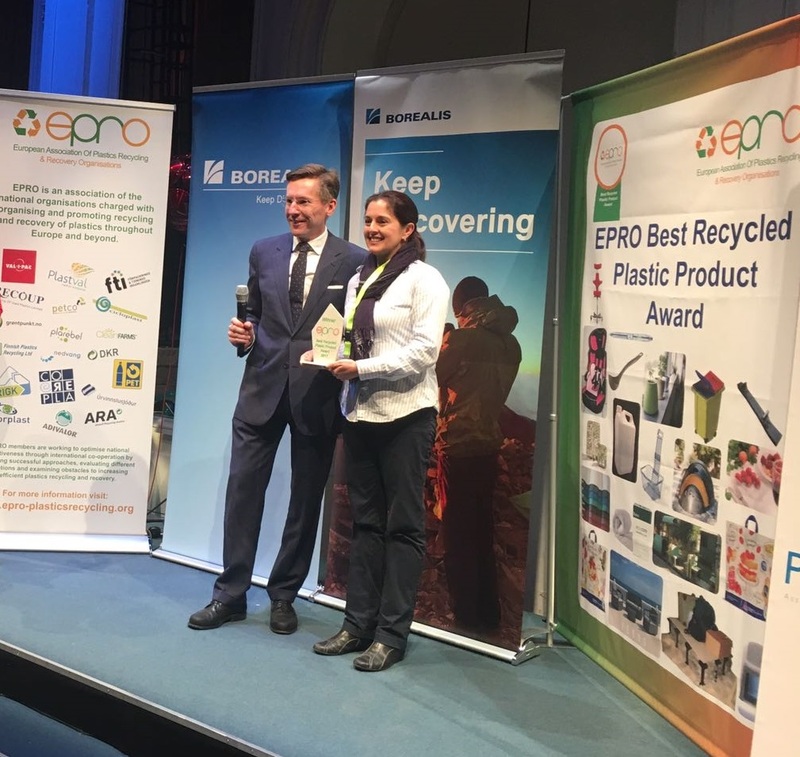 The awards, organised the European Association of Plastics Recycling and Recovery Organisations (EPRO), have been held every two years since 2009 and recognise the very best in innovation and sustainability in recycled plastic products. The winners of the 2019 awards – one for sustainability and one for innovation – will be announced at the IdentiPlast 2019 conference in London on 7 March. Recipients of the awards will have their product showcased throughout Europe and will receive trophies made from recycled yoghurt pots from PlasticsEurope president, Javier Constante. Spanish company Roofeco Systems were the last winners at the awards, bringing home the 2017 trophy for their sustainable roof tiles. The winning product demonstrated the environmental benefits of using recycled plastics as opposed to traditional methods of manufacturing roof tiles. RPC M&H Plastics, for its flat-profile wine bottle made from 100 per cent recycled PET for Garçon Wines. G2B srl, for its ‘polyethylene-derivative’ silk obtained from the coccoons of the Galleria Mellonella wax moth, which are known to be able to digest polyethylene. Peter Sundt, EPRO General Secretary, said of the awards: "The EPRO best recycled plastic product awards is a key activity with the aim to increase the use of recycled material from used plastic packaging and thus lead us closer to a circular society for plastics. At the same time we intend to honour the teams and organisations behind the projects as well as promoting all the products taking part and hope that these examples can stimulate others to do the same in order to keep the plastics in the loop rather than dispose it after first use. All of the shortlisted entries will be on display at IdentiPlast 2019 and an online voting system is live to enable voting by industry peers and conference delegates. You can find out more about IdentiPlast 2019 on the conference website.